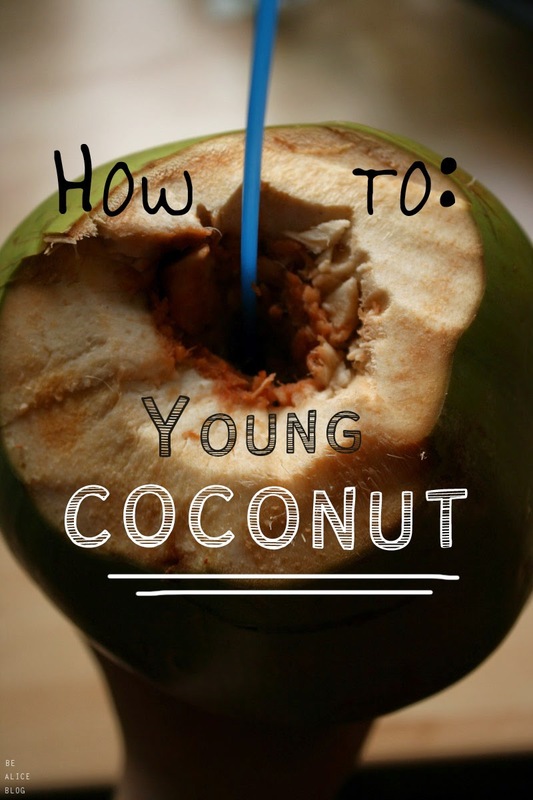 This is the story of a young coconut... alright, all jokes aside. 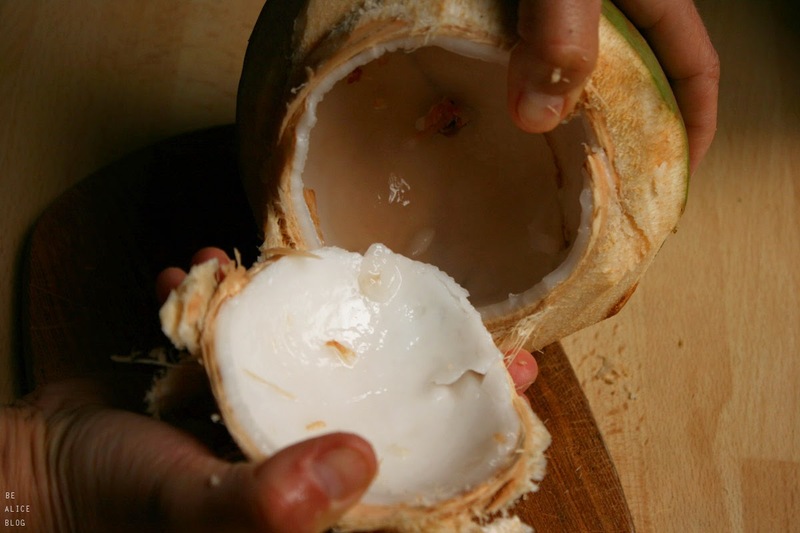 For as long as i can think i have known a coconut to be sort of round, hairy and brown. Sort of like the picture below. 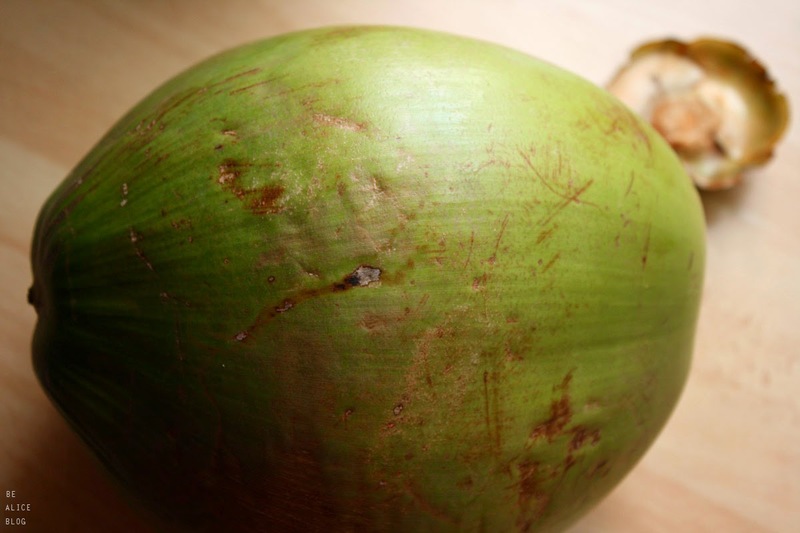 Turns out i have only known the mature coconut. 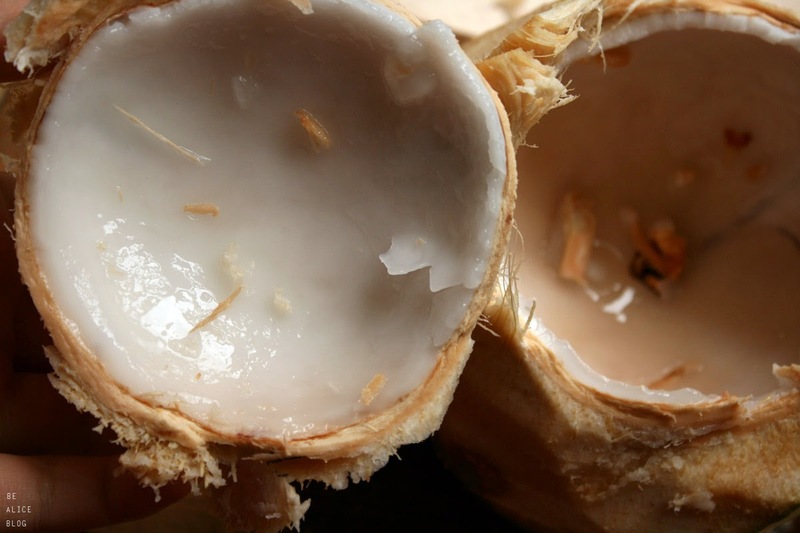 Which has firm white flesh and a bristle dark brown shell. 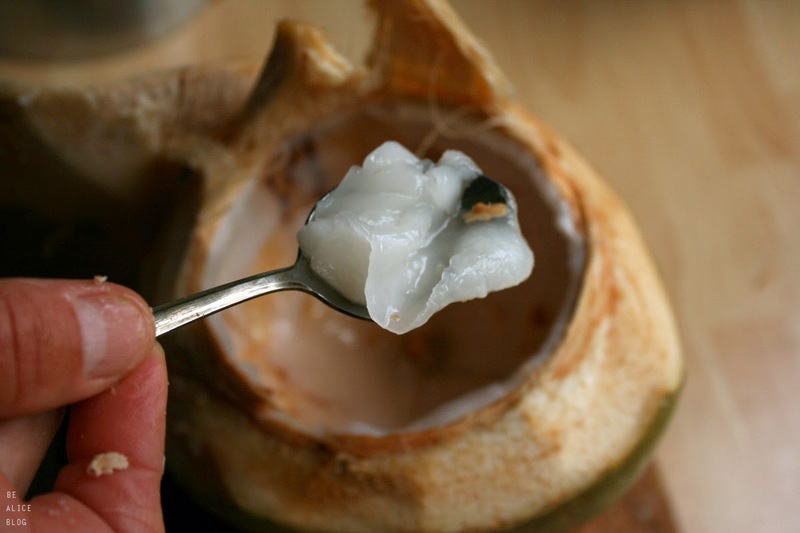 The young coconut however is even-skinned, green (or white if store-bought), and has only a soft thin layer of white flesh - as you can see in the following pictures. So i grabbed a big knife - 'cause i didn't have a machete or an axe at hand, lol - and, well, basically i let my mum do all the work. But hey, i had to take the photos! Right? 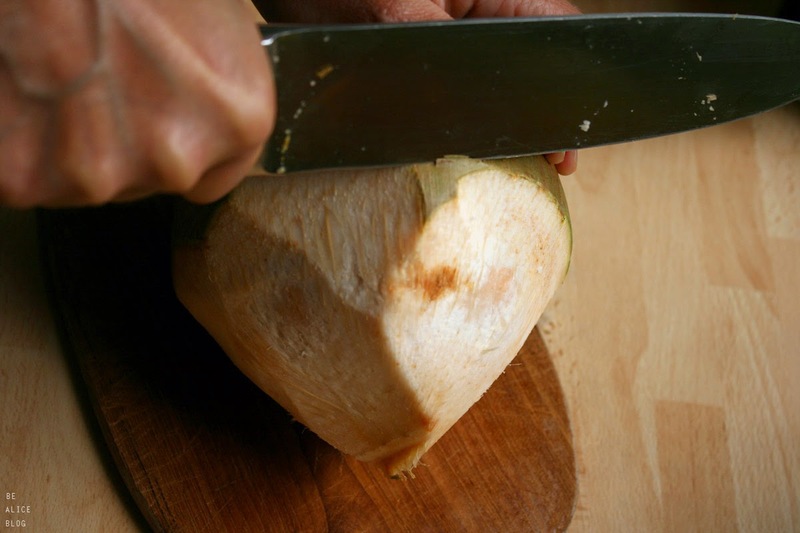 #step 1: get a ripe young coconut and a solid knife with a sharp smooth blade. 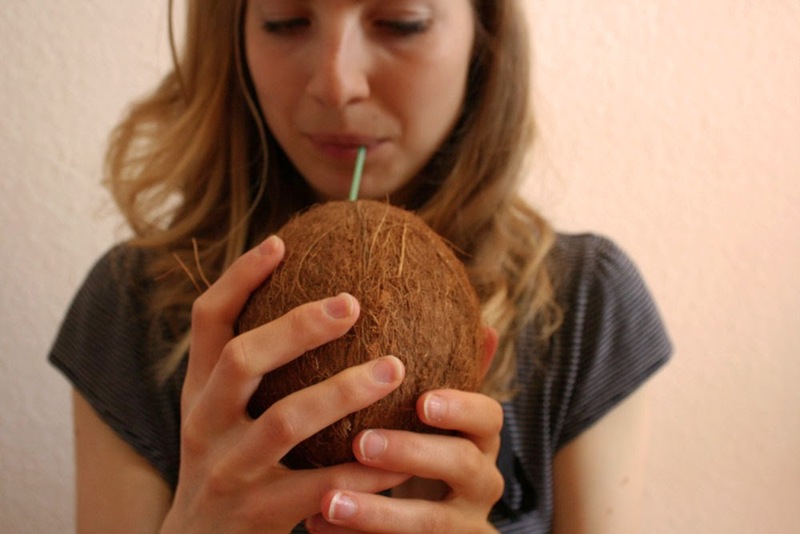 #step 2: if you want to drink the coconut water right from the coconut with a straw, follow these instructions! 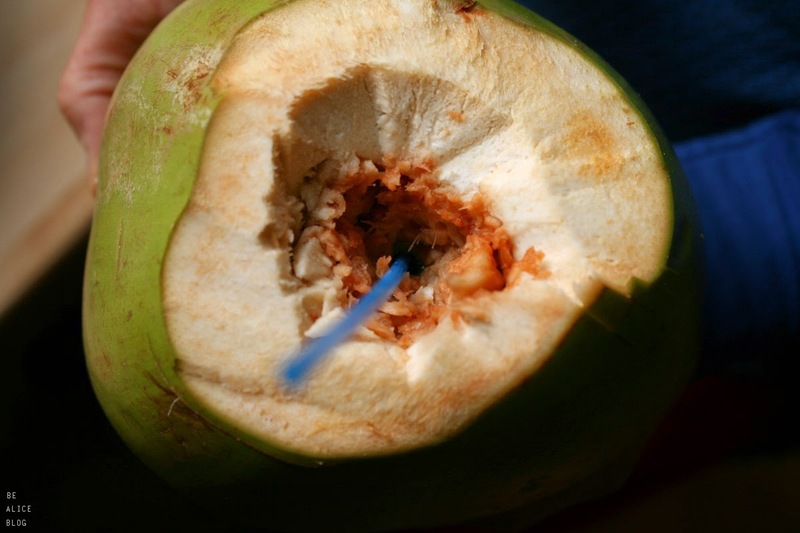 this is what we did first, until we discovered - by accident, my mum decided to go berserk on the coconut - that it would have been smarter to start from the other end of the coconut. 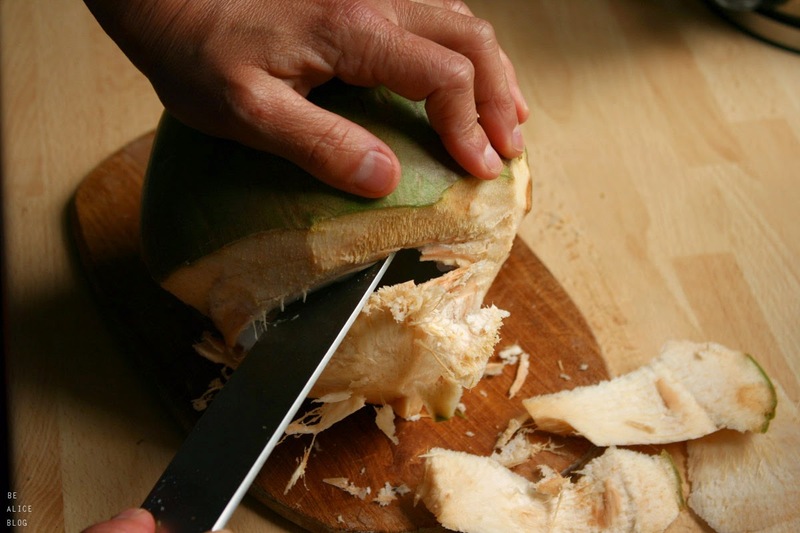 #step 3: so if you want to get to the jelly-like young meat, lay your coconut sideways and carefully, holding your knife with a steady grip, cut straight down the green coconut husk and let your knife naturally curve around the round coconut shell underneath.